The state-of-the-art international paper machine installed in the plant is intended to produce a wide range of printing and writing international paper products to cater to the requirements of quality conscious customers effectively. The paper machine has a deckle of 5 Meters that makes it capable of producing a large variety of products for diverse end uses in the Grammage ranging Fine Prints – 70/75/80 gsm and Britewite / Ace Maplitho – 57 gsm to 140 gsm. Our products range broadly includes surface sized high brightness papers (uncoated wood free), cut size branded multipurpose paper as well as non-surface sized Maplitho grades for the growing education sector and other specific applications. Bindal Papers participates at various quality as well as price points in packaged branded form to serve the diverse needs of customers for business communication and other Office/individual end user needs. The company has installed a state-of-the-art A4 line to gear up to the up-to-date market grades. 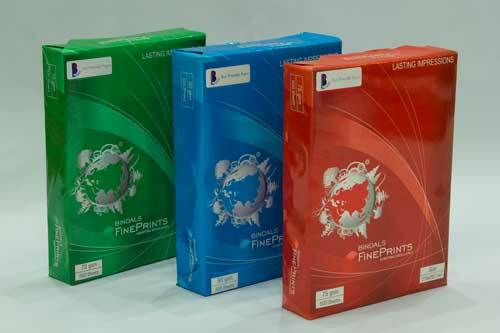 Both SS Maplitho and Copier grades form the main product lines for Bindal Papers. The high quality consistency and brightness of the product, with the objective of providing the customer with the whitest sheet of paper, it is our endeavor to ensure superior functional properties such as bulk and stiffness for substitution to lower Grammage papers to save costs. 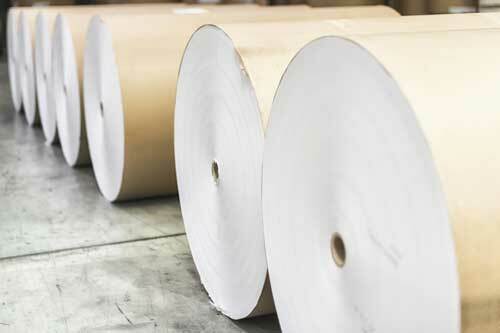 Paper is available in high quality in both reels and sheets for commercial printing jobs, publishing, office stationery and multifarious other applications.